I have been having a think recently (I know, steady on) about beauty products that I couldn't live without. Sifting through press samples and other blog reviews has made me reflect on what I would go out and spend my money on, or repurchase at a later date. What are those products that have impacted my life so much they are integrated into my daily routine? Although my beauty and skincare routine is probably quite similar to many others, there is one step that I think is inextricably linked to my suffering from hair loss, that is the use of an eyelash / eyebrow serum. I know that many non- hair loss sufferers use these, but I think my emotional attachment to them makes them stand out as a beauty product. I often get asked for general tips and advice on coping with hair loss- how I cover it up and how I help myself on a day to day basis. Over time, it's become apparent that most of my replies are the same. I recommend my favourite lashes or brow make-up products, but I always mention lash or brow serums, despite these not covering up the damage or being makeup. I've recently asked myself why. Why are these serums so important to me that I never fail to recommend them to fellow hair loss sufferers? I think a lot of it stems to my own psychological reliance on them. By using them religiously every day, they've not only become an integral part to my beauty routine, but I also put so much hope in them to help grow my eyelashes faster. They almost bring positivity to my trichotillomania experience. 'If I use this serum, it will help grow my lashes and in turn bring me tremendous joy'. 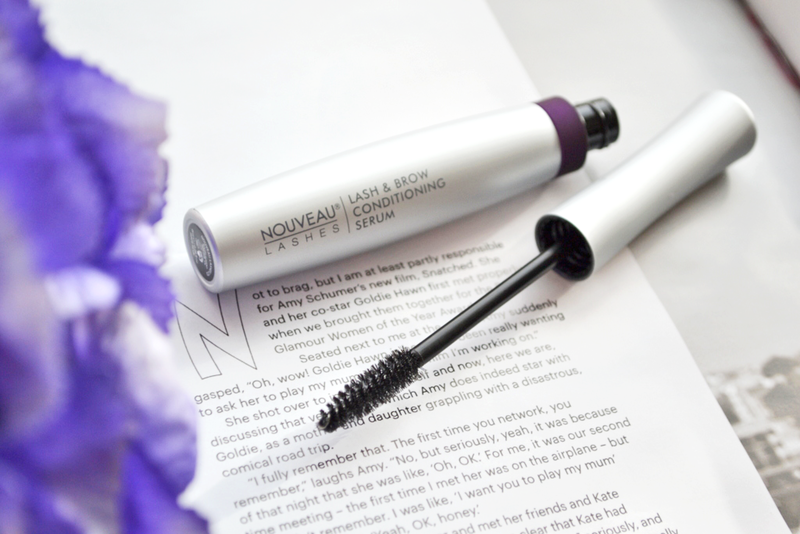 Although many serums are aimed at conditioning and strengthening lashes that have already grown through (such as the Nouveau Lashes one pictured), there are some that I think help lashes grow through faster. The product I have always so heavily relied upon is RapidLash. I don't know whether it has any scientific backing, but I swear that applying this to my bald lash line has helped my lashes grow through faster. When I started using this, they were growing through after about 4-6 weeks rather than the long 8-10 week wait we are used to. And once they had begun poking through my lash line, they would shoot out and my lashes would be back to normal length in no time. The idea of getting back to "normal" faster than ever before was life-changing, and I have relied on the serum ever since to help me rid my baldness and get my confidence back quicker. As many other hair loss sufferers will know, your hair is like a source of confidence for you. Without lashes, I would avoid eye contact with others, feel paranoid people were staring at my baldness and also find small restrictions in my day to day life (having to wear false lashes, not being able to go swimming...I've written a full list of ways trichotillomania can restrict you here!). When I have a full set of lashes back, I'm like a different person. All of those things listed above disappear, and so it becomes clear as to why I would rely so heavily on a product that will help me get back to that state faster. Eyelash and eyebrow serums are my key to getting back to my idea of confidence and happiness, and so I have become almost emotionally reliant on them. And the reason I am so quick to recommend them is because I know other trichotillomania sufferers feel the same way; it's one thing to cover the hair loss up, it's an entirely different game to find something that will help you repair the damage faster to get back to how you once were. False lashes give me confidence, but having my own lashes back is just the best feeling in the world. It seems strange to emotionally depend on a beauty product so much, but I guess that's what beauty is about; finding things that make you feel confident and good about yourself. Are there any products you rely on religiously, whether for hair loss or not? Which eyelash or eyebrow serums would you recommend trying? I also have trich (since I was 11) and this was SO helpful. I'm just now trying a lash serum for the first time because I've been on the fence on if they work or not. You convinced me! I ordered the RapidLash serum last night and can't wait to try it! Hi Kaylee! Sorry for the delayed reply- I have only just seen your comment. Some are useless, but some work amazingly. RapidLash is my no1! Do let me know how you get on!